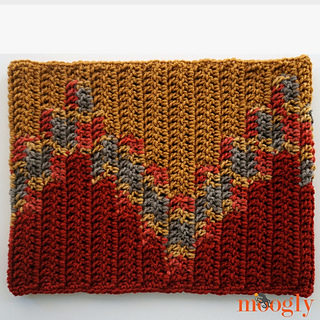 I’ve included two sizes for the Bonfire Cowl, and dimensions for both are given below. The Small is shown in the photos, on someone who is 5’8” tall and a size 14. 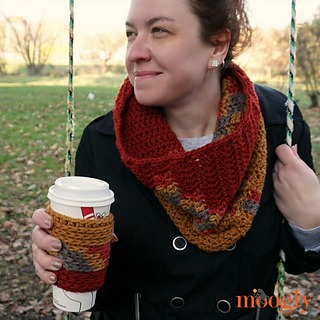 If you prefer a longer cowl or are plus sized, then you may prefer the Large size. 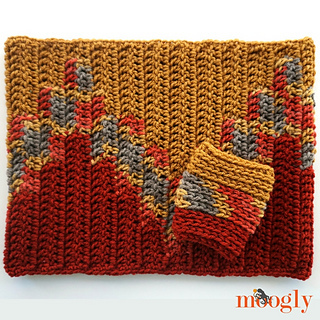 And after you’re done, you’ll have enough yarn left over to make the matching Bonfire Coffee Cozy!